Figure 5-4 is the checklist that should be used to prepare for a project turnover. Depending on the type of turnover, the checklist is annotated with the particular information that must be provided. 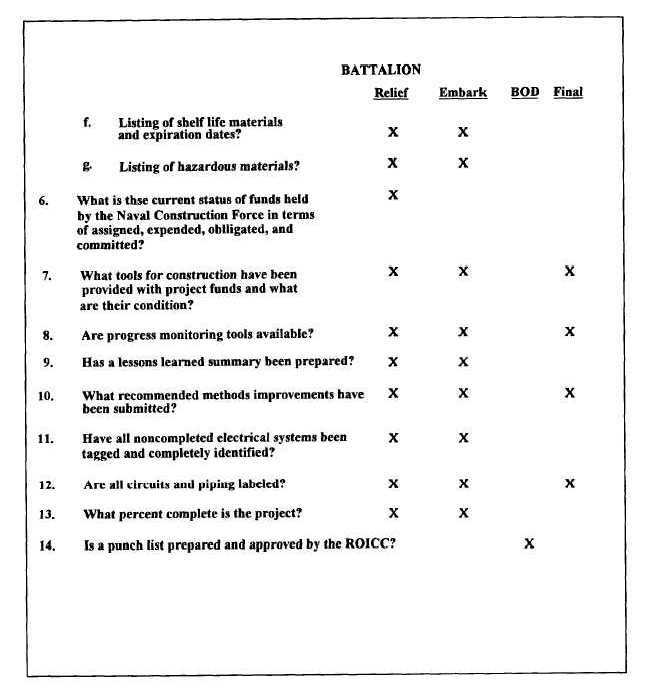 It is the on-site battalion's responsibility to provide the information to the ROICC or the relieving battalion. Figure 5-4. - Questions for project turnover - Continued.